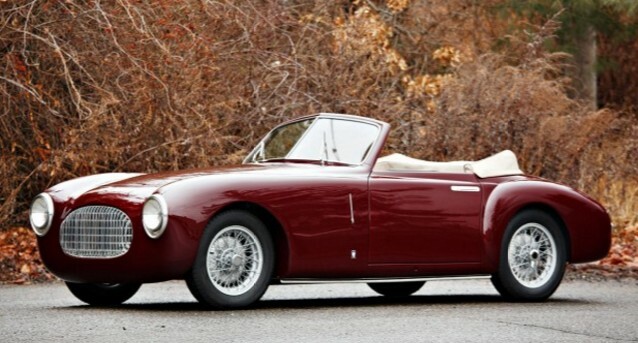 From 25 feet (or, you know, in photos), this Cisitalia might look like any number of postwar sports cars. But it’s coachbuilt – by Vignale, no less – and the details on this car are fantastic. The 202 was Cisitalia’s main road car, introduced in 1947 and produced through 1952. There were some pretty exotic versions of it, including the CMM and the famed SMM Spider Nuvolari. It’s borderline blasphemous to call any Cisitalia “pedestrian” but I think the attractive yet subdued styling on this Cabriolet, coupled with the fact that it lacks any real racing pretensions, is what makes it special. This car is powered by a 63 horsepower, 1.1-liter straight-four. Coupes came first, but the Cabriolet is rarer, with only about 60 built (of a total 202 production run of 170 cars). This example was discovered in Argentina before coming stateside in 2003. The restoration dates all the way back to 2016 and the chassis number is an early one. It is expected to bring between $525,000-$625,000. Click here for more info and here for the rest of Gooding’s Amelia Island lineup. 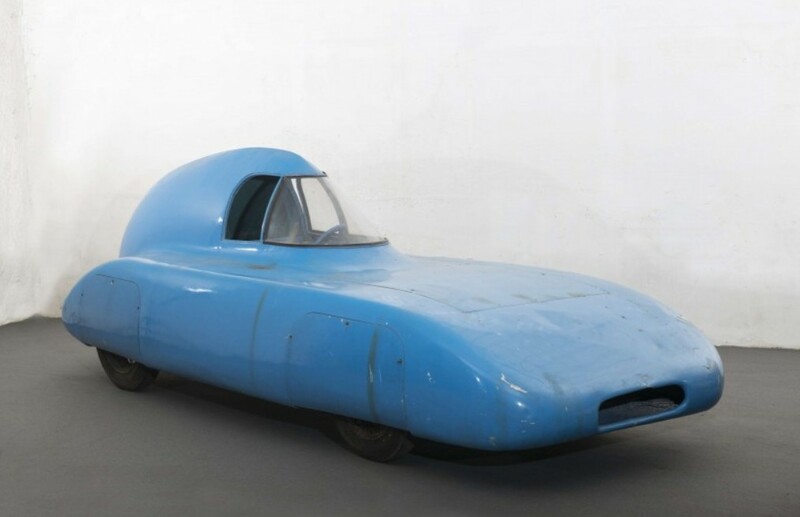 Dellow was a motorcar manufacturer from a city near Birmingham that was founded to make a very specific type of automobile by Ken Delingpole and Ron Lowe in 1949. 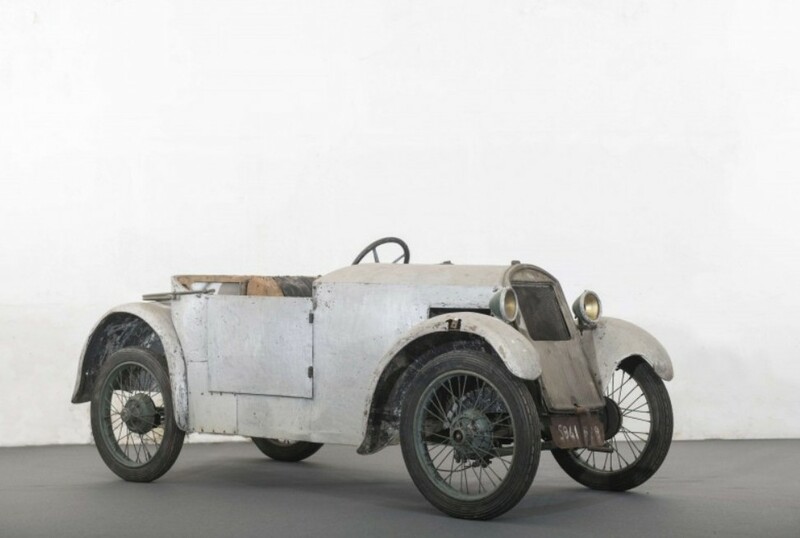 Early cars were based on the Austin 7 chassis, but these were meant for Post-War off-road Trials racing, hence their decent ground clearance and rugged looks. 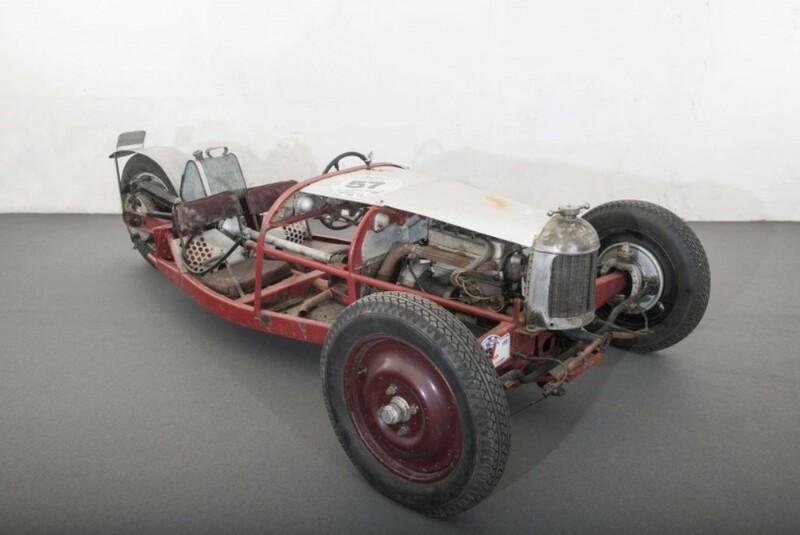 The car you see here is thought to be the third Dellow built – a true prototype. 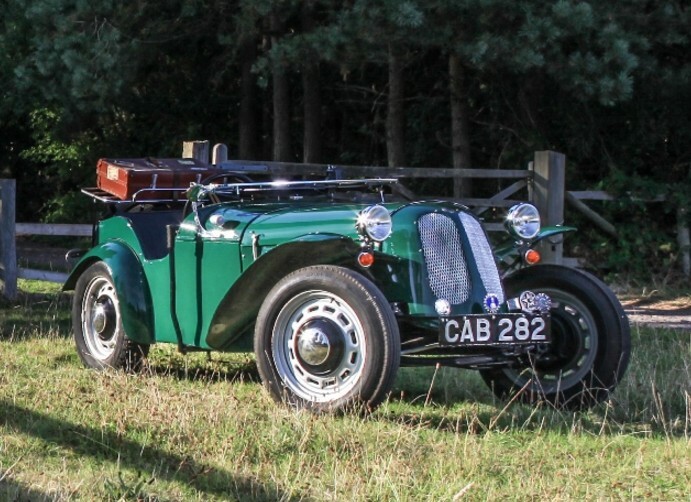 It sits on a chassis from a 1938 Austin 7 van – a longer wheelbase than the base 7. The engine is from a Ford and it’s a 1.2-liter straight-four. It led a life on the circuit – from hillclimbs, to road-racing, to off-road trials, racking up wins as it did. Some famous drivers got their starts driving Dellows up muddy English hills. It’s been treated to a complete restoration and has become one of the best documented examples of the marque. The last Dellows were produced in 1959 and some people see it as the ancestor to the Lotus. The factory turned out only about 300 cars during its existence, making this a rare car today. It should bring between $19,500-$24,500. Click here for more info and here for more from this sale. 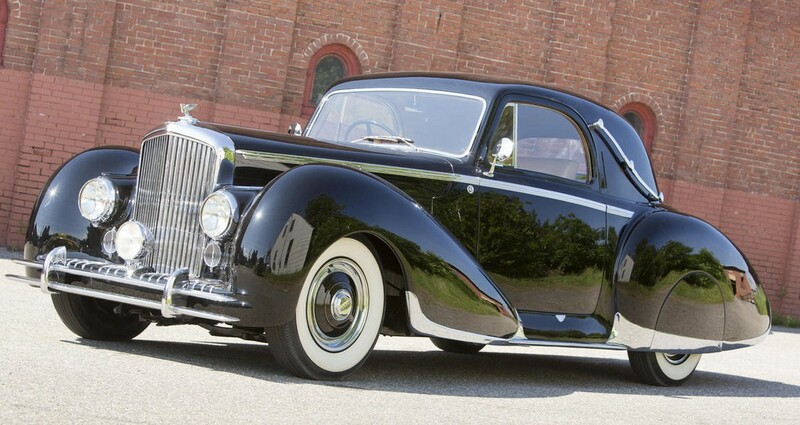 The Rolls-Royce Silver Wraith was Rolls’ middle-of-the-line model and it was produced between 1946 and 1958. In 12 years, only 1,883 were produced, keeping with Rolls-Royce’s exclusivity pattern. But, as you can see, this is no ordinary Silver Wraith. It was ordered new by a wealthy New Yorker and first displayed at the 1949 New York International Motor Show. It is powered by a 4.3-liter straight-six making 126 horsepower (aka “Adequate”). The body, which was originally black, was bodied by J.S. Inskip, who was the Rolls-Royce importer in New York. 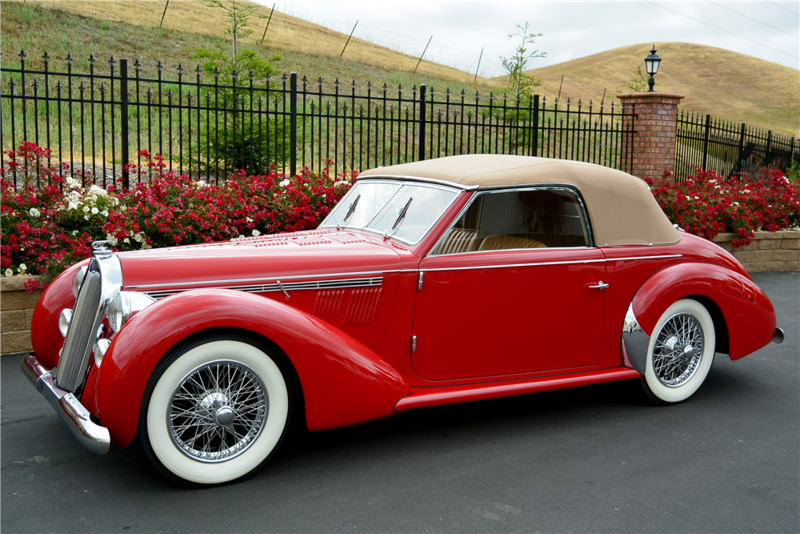 Not to oversell it, but this is one of the most stylish cars ever bodied by an American coachbuilder – especially after the war. The original owner put it up for sale in 1952 for $12,500. 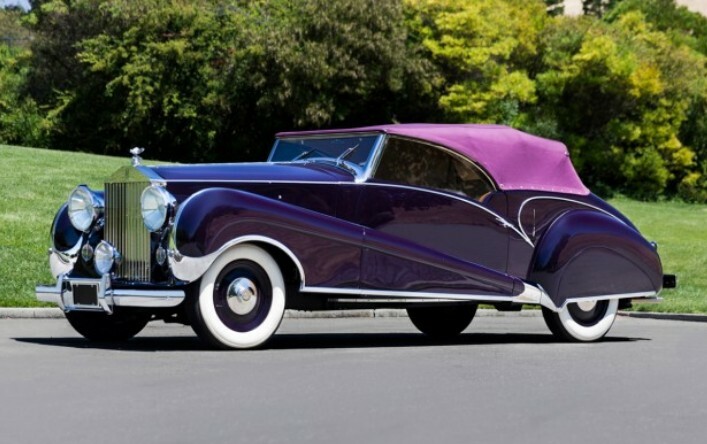 A couple of owners later, in the 1980s, the car was redone to it’s current, striking, purple. This five owner car will draw a crowd wherever it goes and is expected to bring between $1,250,000-$2,000,000. Click here for more info and here for more from Gooding & Company. 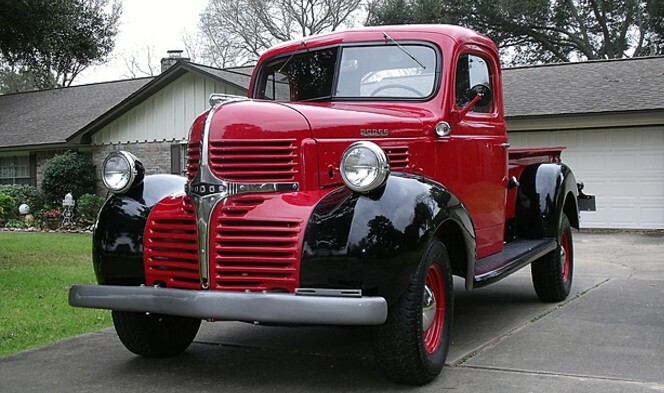 The Dodge WD15 was ¾-ton light truck built by Dodge between 1941 and 1947. 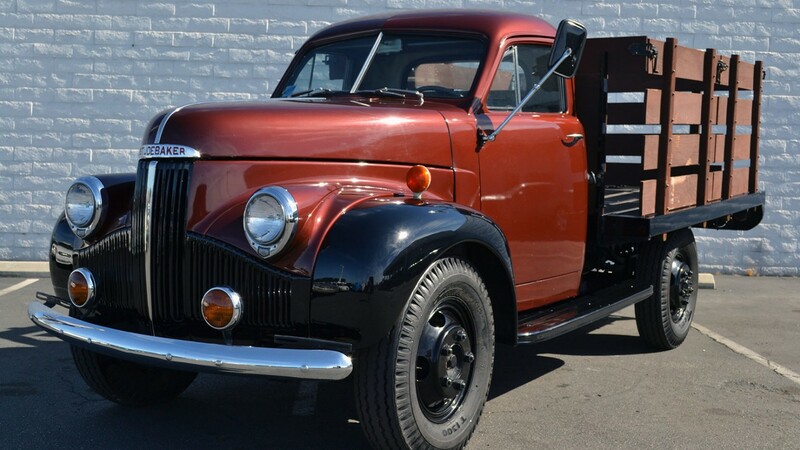 The truck was also actually built during the war years of 1942 and 1943 (primarily for the government. No ’44 or ’45 models were made). The 1941 model was essentially the same as the 1940 VD15 truck. Original equipment here was a 3.6-liter straight-six making 95 horsepower. The WD was offered in five styles with the pickup being the base “complete” truck (two chassis versions were available). The original list price was $1,096 in 1947. Only 9,992 of these were delivered for this year. Most trucks like this were used heavily and probably scrapped. They were utility vehicles that were run into the ground, meaning: not many remain. This one is really nice and has some modern mechanical bits (think: brakes) and 10-year-old paint. Click here for more info and here for more from this sale. Talbot-Lago, which came into existence in 1935 when the French Talbot was reorganized by Tony Lago, became of of the biggest French names in pre-and-post-war luxury automobiles. Also, most of their cars are gorgeous – including this one. Don’t you think? The T-26 (which is also referred to as the Record Type 26) is powered by a 4.5-liter straight-six making 170 horsepower. Most of these cars were sedans, but a few were sent out to coachbuilders. Only three T-26s were bodied by Carrosserie Worblaufen of Bern, Switzerland. This one has been completely restored is being offered for sale for the first time in almost a quarter century. Click here for more info and here for more from this sale. HRG was founded by three men, none of whom you probably know personally, nor have ever even heard of. 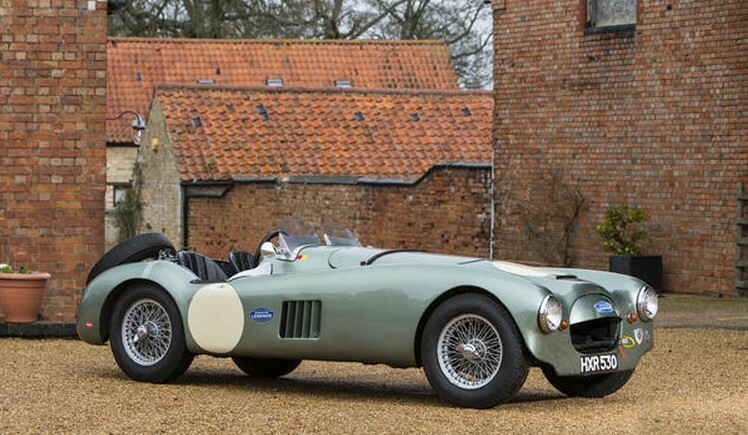 Actually, one of them – Ron Godfrey – worked at both Frazer Nash and GN, the cyclecar company prior to co-founding HRG. The first HRG was available in 1936. They were a sports car company that enjoyed showcasing their products on the track, through their factory racing team, L’Écurie du Lapin Blanc. All HRGs were either 1100 or 1500 models, denoting engine size. This car uses a 1.5-liter straight-four making 60 horsepower and was originally built as an HRG Aerodynamic – one of only 35 built. It had some early racing success and HRG decided it would be a good car to use to try out a new body. HRG converted three cars to a new style and they competed in the 1949 24 Hours of Le Mans. This car DNF’d after 83 laps, finishing 36th with drivers Jack Scott-Douglas and Neville Gee. After the race, all three cars were sold to the same guy. In 1953, the body was changed to what you see here. The wheelbase was also shortened, if you can believe it, as it already looks quite lengthy. The current owners have had the car for eight years and had it restored. It’s a lovely old race car welcome at many historic events – a place where HRGs excel. In fact, HRG only built 241 total cars and 225 are still around – many of them can still be seen on the track. This one should bring between $250,000-$340,000. Click here for more info and here for more from this sale. Frank Kurtis is an important name in the history of American sports cars. In the late-1930s he built his first midget dirt-track car. 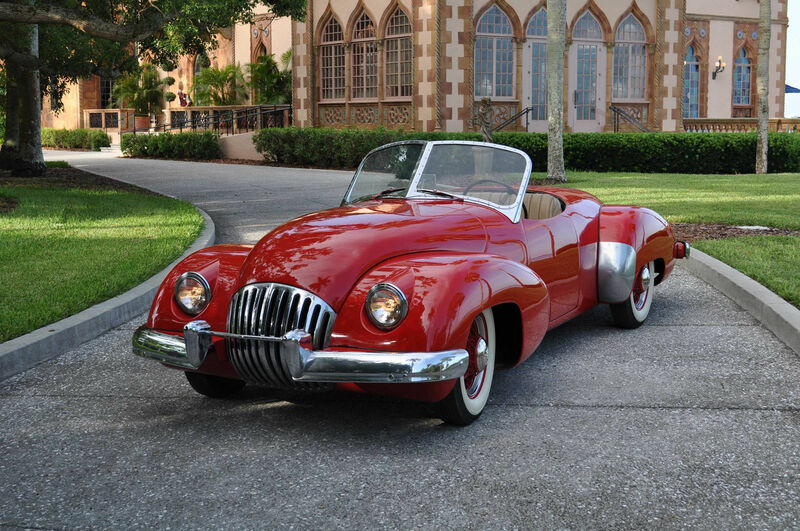 Just prior to WWII, he designed a car that would eventually go into (short-lived) production as the Davis Divan. Kurtis Kraft would be he racing car business. He built five Indianapolis 500 winning cars and nearly 2,000 Kurtis Kraft cars would be built, 120 of which would actually compete in The Greatest Spectacle in Racing. He even built a short run of sports cars for the road (and those were also produced as the Muntz Jet). 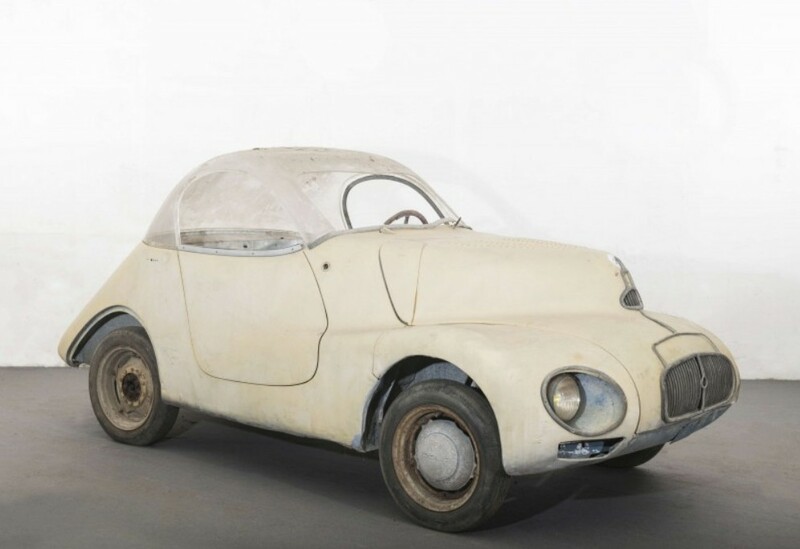 The car you see here is often billed as “America’s first Post-War sports car.” It was designed by Frank Kurtis and Paul Omohundro, a man who had worked for Kurtis fabricating race car bodies. The Comet was built around a 1940 Ford chassis and the two men planned to put the car into limited production on donor Ford chassis (it never happened). The engine was a 1946 Mercury flathead V-8 making about 100 horsepower (it was swapped out years later for a 1949 engine). Omohundro was able to build a lightweight aluminium body that made the car capable of over 100 mph. The car bounced around between owners, garnering little use until it was parked in 1986 and forgotten. This isn’t a car that you can find a duplicate of – as it was the only one built. It’s also in the best shape it has ever been in. You can buy it from one of America’s coolest car dealerships in Sarasota, Florida for $390,000. Click here for more info.